The next moment’s “experience” is not necessary for your transformation. 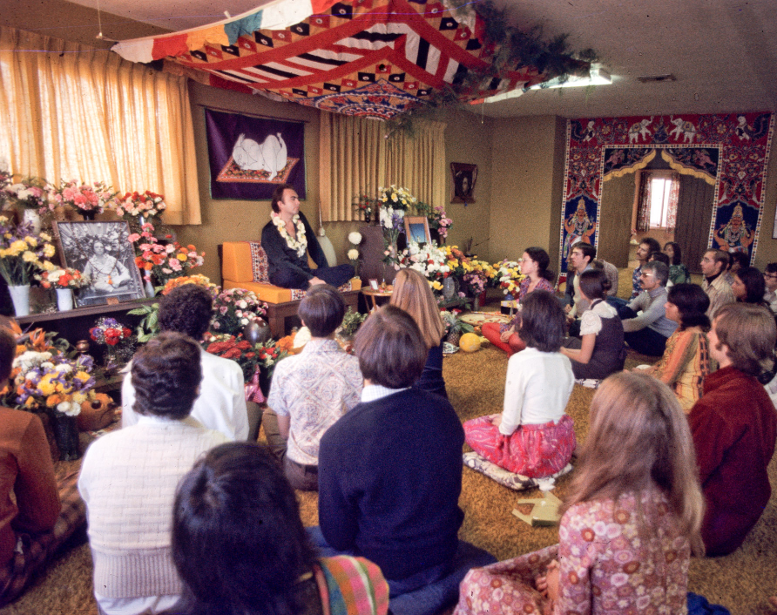 The transformation that Adi Da Samraj Offers is His Gift to you of freedom from stressful experience-seeking and the Perfect Happiness of Divine Communion. Is this transformation—or conversion—just another experience? Hear this CD to find out! Avatar Adi Da Samraj masterfully explores the relationship between experience, understanding, and Truth: Experience cannot ever lead to Truth—but, in the context of the devotional relationship to Avatar Adi Da, experience can serve the crisis of understanding that makes a person available to His Transmission of Truth. 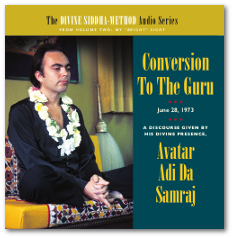 Includes Avatar Adi Da’s lively recountings of two genuine conversion stories—one from a modern Christian minister and the other His amusing free-rendering of the story of Ribhu and his disciple Nidhaga (from the Ribhu Gita, an epitome of traditional Non-dualist teachings). Where there is this conversion “experience”, it is a sign of the conversion from one principle to another: the release from the ordinary principle of unconsciousness and necessary conflict into the Prior Principle of Consciousness and Freedom. And this Principle is Real, is True. • First time on CD! • Digitally remastered and expanded! (Originally released on cassette tape as I Only Move Where There Is Fire). • Includes significant additional material that does not appear in the written form of this Discourse (as published in My “Bright” Sight). From an archival recording with some quality variations.